We connect Madrid and Rennes with seven flights per week! Rennes is located in a place that was formerly known as Condate, between the Ille and Vilaine Rivers in 1st century B.C. The construction of the walls began in the late 3rd century and later extended to the northeast and the south, eventually reaching a surface of 62 acres. The Mordelesas Doors and the Duchesne Tower date back to this period. 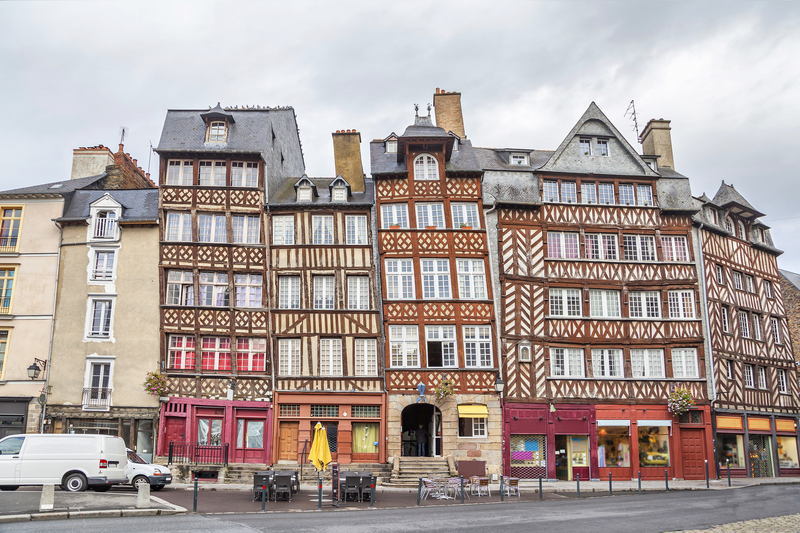 Architecturally, Rennes is also known for its wood framework which gives it an unmistakable medieval appearance, some examples of which can be found in the homes in the city centre. Nevertheless, this technique has made it vulnerable to fires, such as the one in 1720 that destroyed hundreds of buildings. The city of Rennes cannot be fully understood without taking long walks through the green areas. Since the 15th century, these areas have been the settings for leisure and relaxation. Later on, in the 18th and 19th centuries, they became a social symbol. 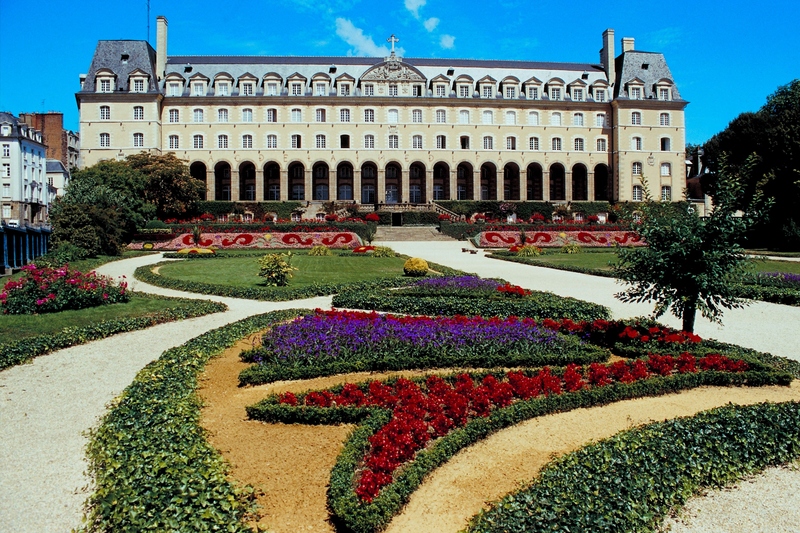 One of the most popular is the Thabor, a French garden that originally began in the orchard of an old abbey. It is one of the most beautiful in France. 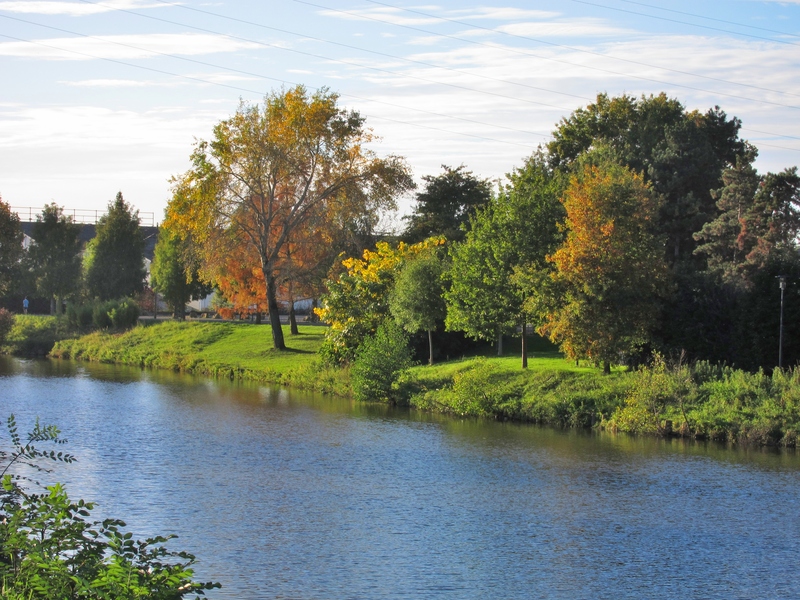 Other interesting parks to visit include Maurepas Park, which includes the work of Louis Derbré; Gayeulles Park, which has a bucolic style; and the English-style Tanneurs Park, made up of tall trees. This is a must-see if visiting Rennes. This symbol of Brittany's history has an institutional and majestic air to it. Inside, the main feature is the Grand Chamber, created by Errard and Coypel, which stands out due to the French-style decor and gilded carved wood. Next to the palace, the royal square is a combination of granite and tuff to shine better under the sun's rays. In 1994, the building set fire and had to undergo restoration in order to re-open its doors to the public in 1999.